Guests sometimes ask me how I came to find this place, and how I came to make the choice to switch out of a conventional house and suburb life in favour of off-grid country living. The two questions have related though separate answers, the response to the second a more involved story I relate to guests in person. 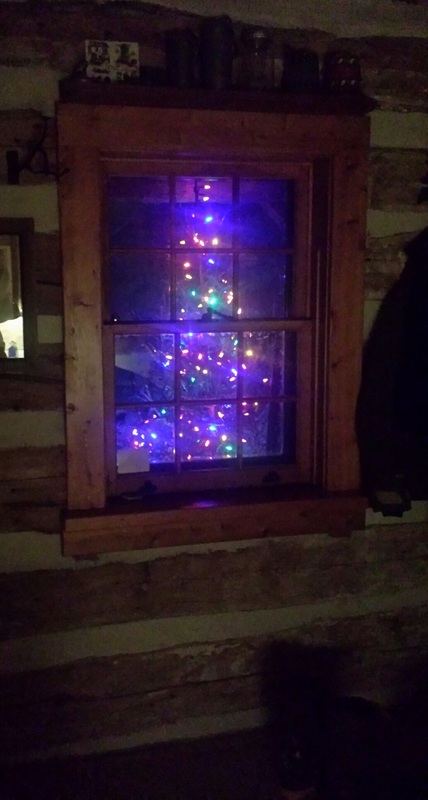 A seasonal tradition, I select a spruce* for the front porch–which is a pretty sight from inside and out. As for how I came to find such a unique place, it is within weeks of a time 9 years ago when I ventured up to Owen Sound for a weekend visit. Not the first time I had made a December trip to this area, it was the perfect escape from the GTA and its cold, grey, often snowless (or if not snowless, then slushy) experience which passes for winter in the city. Particularly around Christmastime, I knew that snow was almost assured and good chance it would be fresh, fluffy white and caked onto tree limbs like as we picture Canadian winter to be. Just 2½ hours drive to what felt like a whole other world, it was (and is) a delightful contrast to the intense retail pre-xmas hubbub in the city. When my daughter was young, we would sometimes make a getaway to a B&B in Owen Sound for a Christmassy weekend enjoying the long-running Festival of Northern Lights all around downtown. 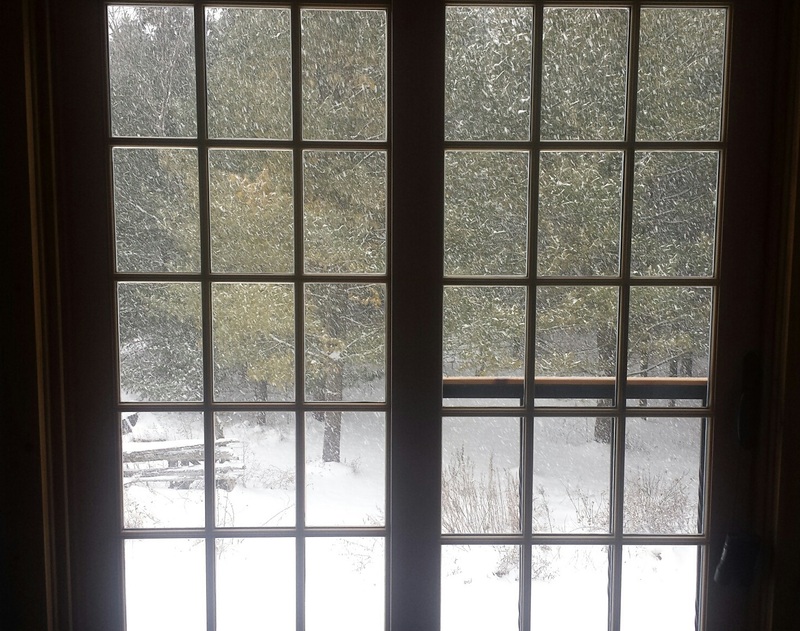 “The View from Here” – snow is falling as I write this morning. * a footnote to the porch tree tradition, I tromp around the spruces for quite some time to select a tree which is compromised, crowded, has a defect (e.g., dual stem is a common one), or otherwise not a likely candidate to grow into a large and strong specimen.